Daily Debate: Which Zelda Game Has Your Favorite Starting Location? The starting location and tutorials of a video are critical to a game’s overall success. Over time, these locations become nostalgic and memorable to many of the players who complete the game. The starting location is especially important in science fiction and fantasy games, which need the player to feel immersed in their amazing worlds. As The Legend of Zelda series has developed over the past thirty years, so has the personality, depth, and importance of the starting location in each game. Breath of the Wild begins your incredible journey on the Great Plateau, which teaches players everything they need to know about the massive open world, the combat system, and climbing mechanics. Additionally, the location sets up the tone of the game and gives the player its first taste of the story. Each game in the series has its own approach to a starting location. Ocarina of Time’s Kokiri Village gives the player a safe playground to explore, find secrets, and learn new systems like Z-targeting. Majora’s Mask frantically drops the player into Clock Town with a timer ticking down toward obliteration. 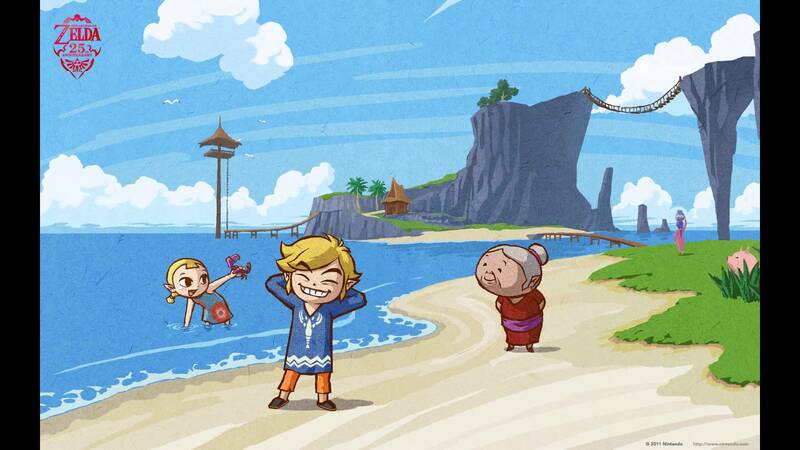 Other games like The Wind Waker and Skyward Sword presents the player with safe havens filled with friendly characters and joyful music. Which Zelda game do you think has your favorite starting location? What reasons do you have for it being your favorite? Let us know in the comments below!